"Formal yet not boring" are the best words to describe this black tie by Puccini. 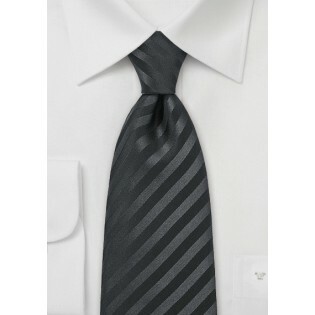 The subtle stripes are created using a single black silk yarn that is woven in alternating direction. 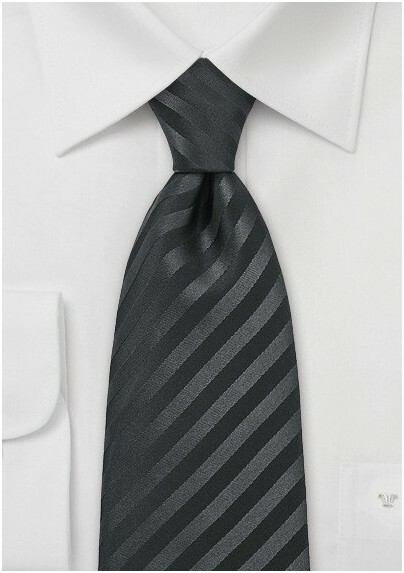 This tie looks best when paired with elegant black suit and formal white shirt. Looking for another accessory? Then we also suggest a neatly folded white pocket square in the jacket's breast pocket. Should you be looking for a formal tie without any pattern then you may also have a look at this black necktie by Parsley. This tie is made from microfiber. It looks and feels just like silk but is more resistant to stains and wrinkles.